Sitting on the beach while on vacation in Naples, Florida, I mentioned to my wife that I hoped to visit Maus and Hoffman while we were in town. 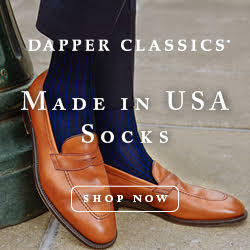 When she asked what kind of store it was, I told her, from my limited knowledge, it seemed like the kind of place you went if you really needed a $2,000 cashmere, salmon-colored sportcoat. I went, and I found the sportcoat! It was $4,000. 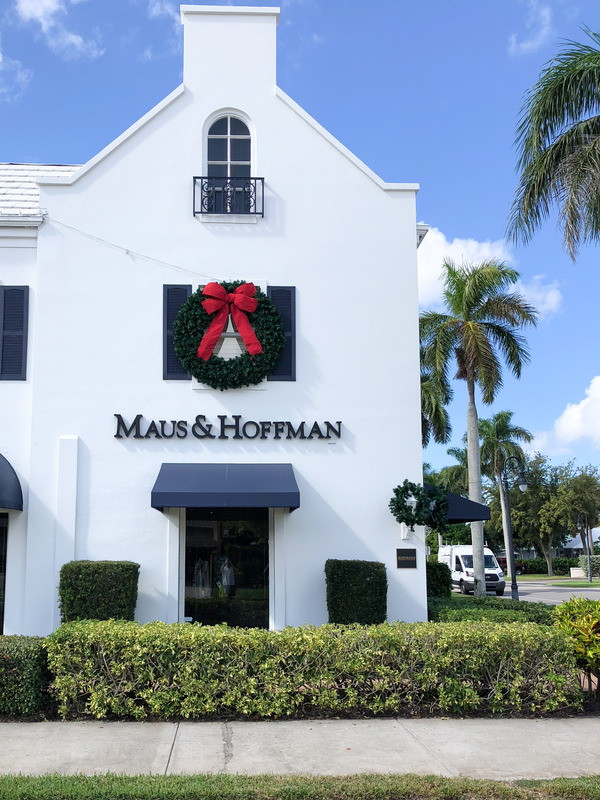 Maus and Hoffman is headquartered on Florida’s gilded Atlantic coast in Palm Beach, and at first glance, their clothing seems like it would appeal to a cartoon of a rich retiree, and I mean that in the best way. Clothes that look good with a sun tan and a golden parachute. 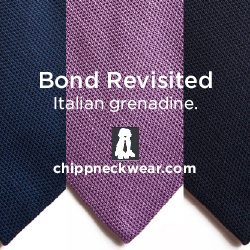 Often we refer to “traditional men’s stores” and the implication is staid, old school, solid taste. Like J. Press. 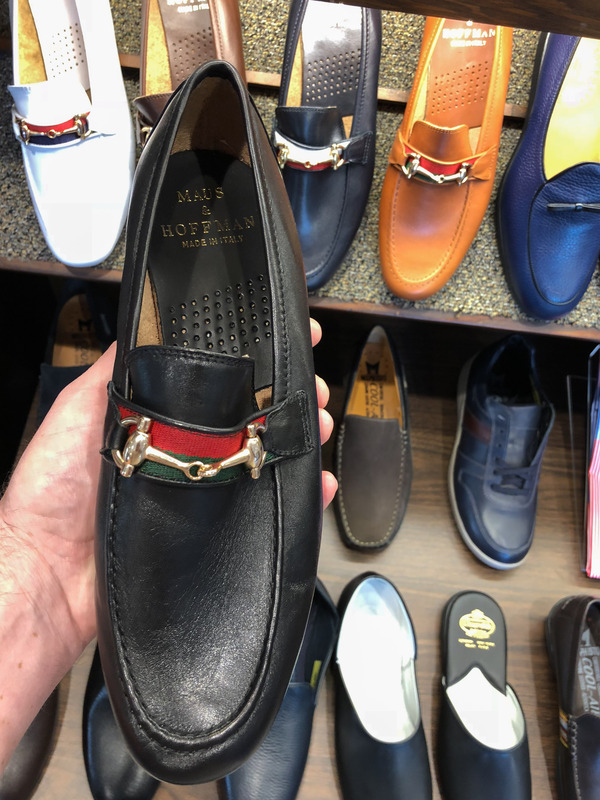 Maus and Hoffman has been a family run men’s (and women’s) store for over 75 years. 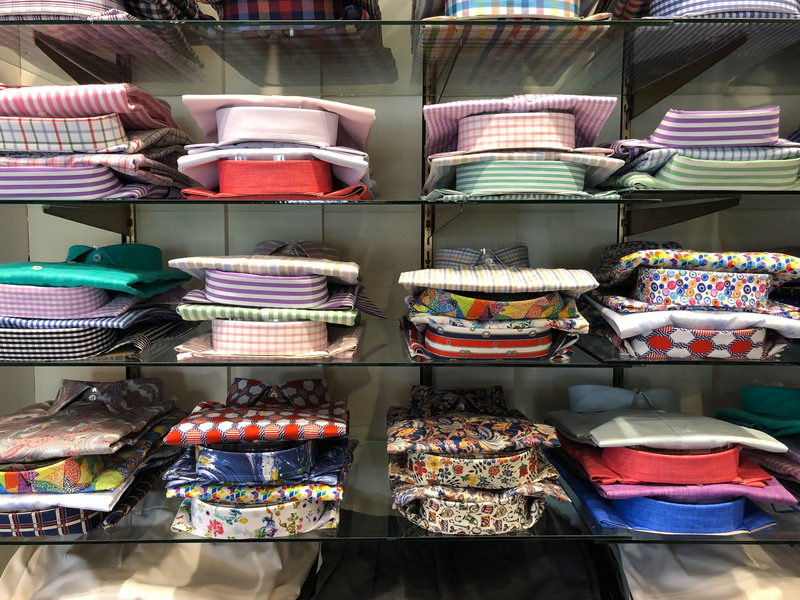 And it’s similar to Press in that it carries a lot of self-label merchandise from traditional makers — American and Italian tailoring, Scottish cashmere sweaters, Italian silk neckties — but the store takes a lot more chances with pattern and color. 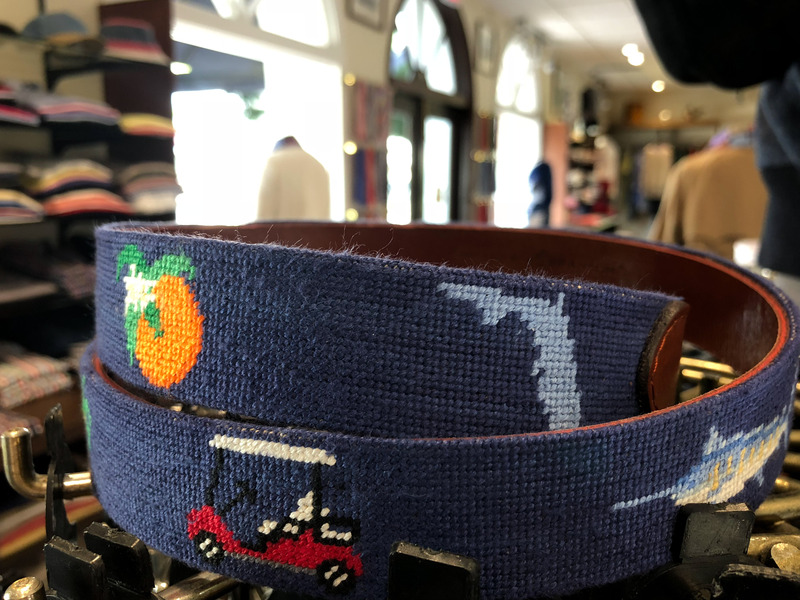 This is, after all, south Florida, not an Ivy League college town; and the Wall Street guys here have traded in their pinstripes and black captoes for berry-colored polos and lizard loafers. 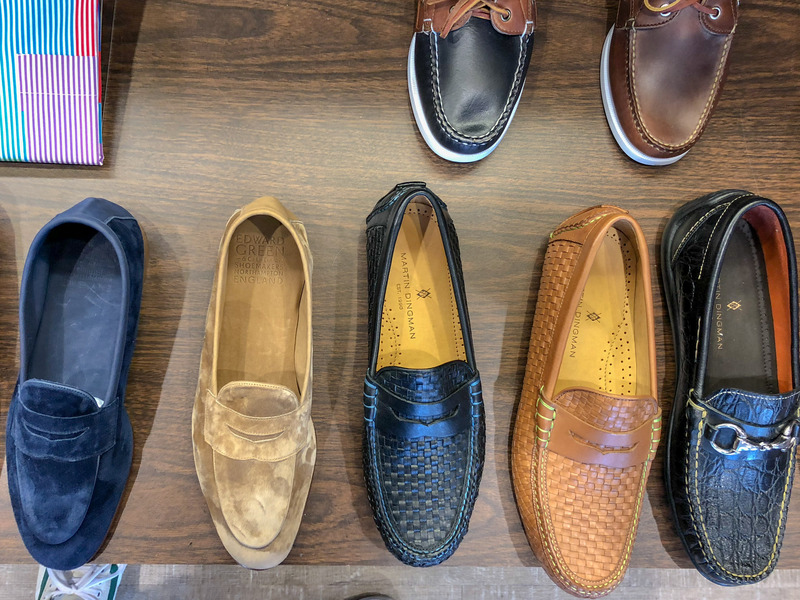 I chatted with salesman Allen Wade at the Naples location, which opened in 1971, a few blocks from the Gulf of Mexico (and these days, a Tommy Bahama store AND restaurant). Wade told me they’ve tried carrying more business-oriented merchandise, but customers aren’t looking for plain toe bluchers. The shoe wall here is all loafers, from a wide variety of makers — Alden sand suede penny loafers, absolutely gorgeous Edward Green loafers, and loafers from their house label: horse-bit-and-silk embellished, or Belgian style from their Italian-sourced house label, Solemare (Italian for “sun and sea,” as Wade explained). The decor of the store, at least, is indeed old school. It’s a small-ish space on a quiet corner, interior dark-wood-paneled and Florida-sun-lit. 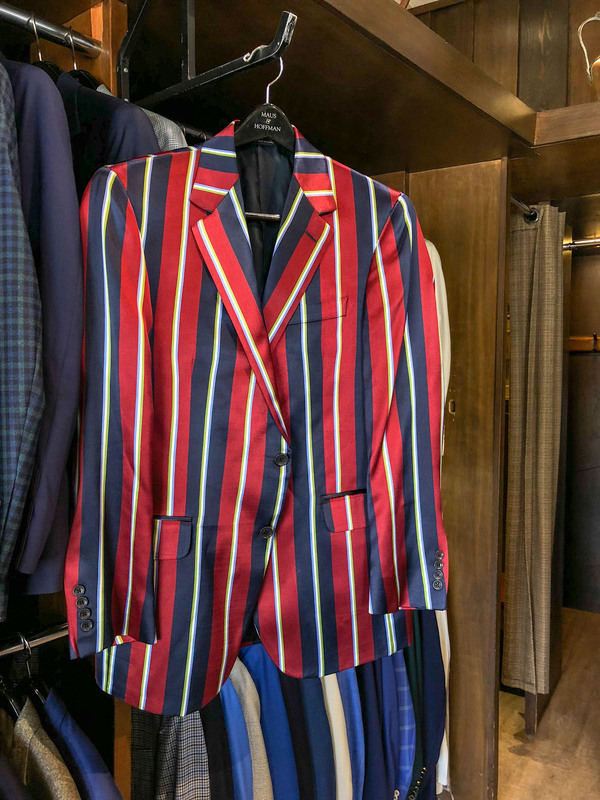 Upon entry, you’re greeted by a navy-blazer ensemble on a mannequin; a table of perfect cashmere crewnecks on the left, loafer wall ahead. 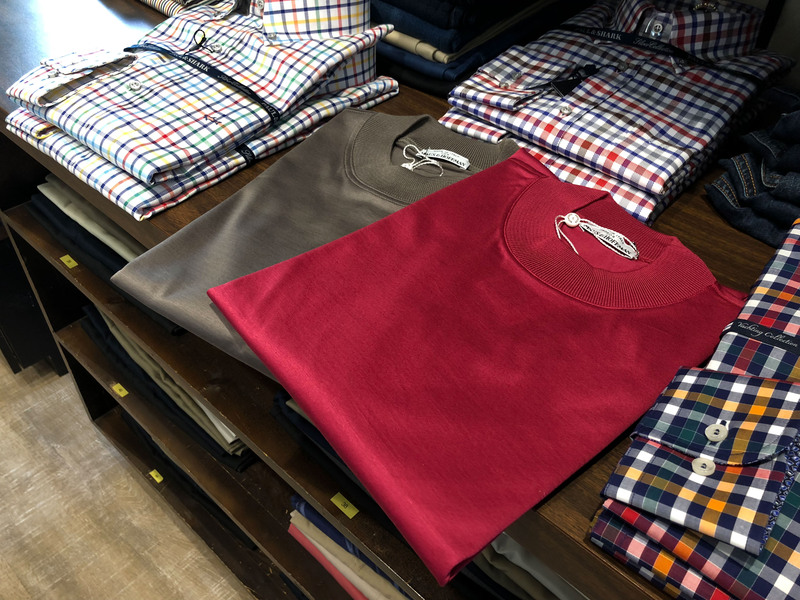 Dress and sport shirts sit on glass shelves and tailoring on recessed racks with utilitarian display hooks. The digs are not showy; but the clothes are. Maus and Hoffman covers the basics well. 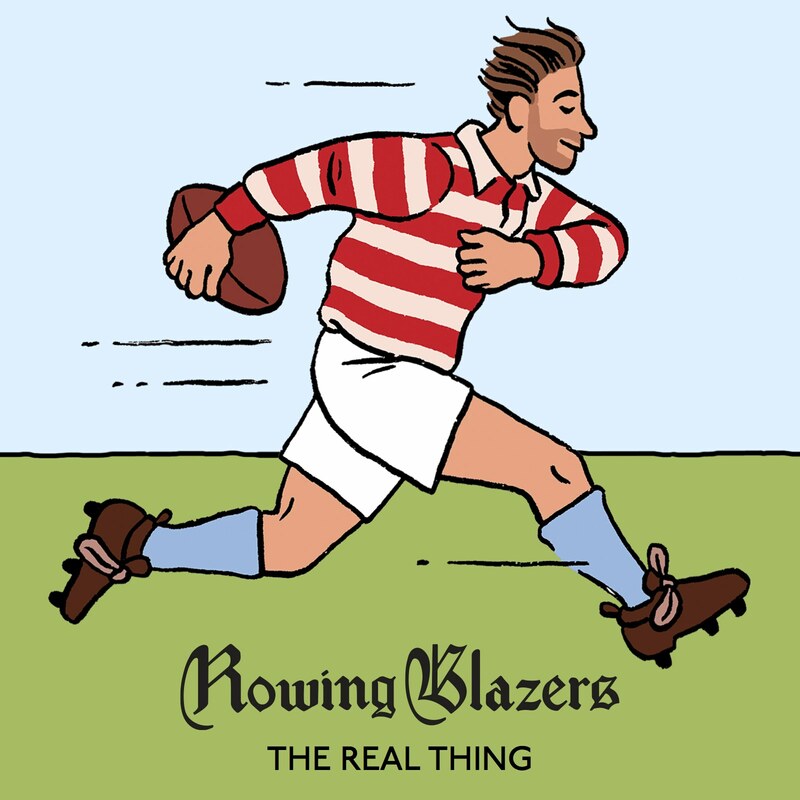 Some blazers are wild and pricy, but they have basic navies as well, and made-in-Canada models are closer to $1,000 than to the $4,000 pink cashmere number. 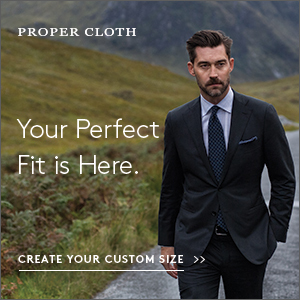 Trousers are mostly American made and you can get some nice, traditionally cut khaki twills. Or you can get some bright coral corduroys. It is almost winter, after all. 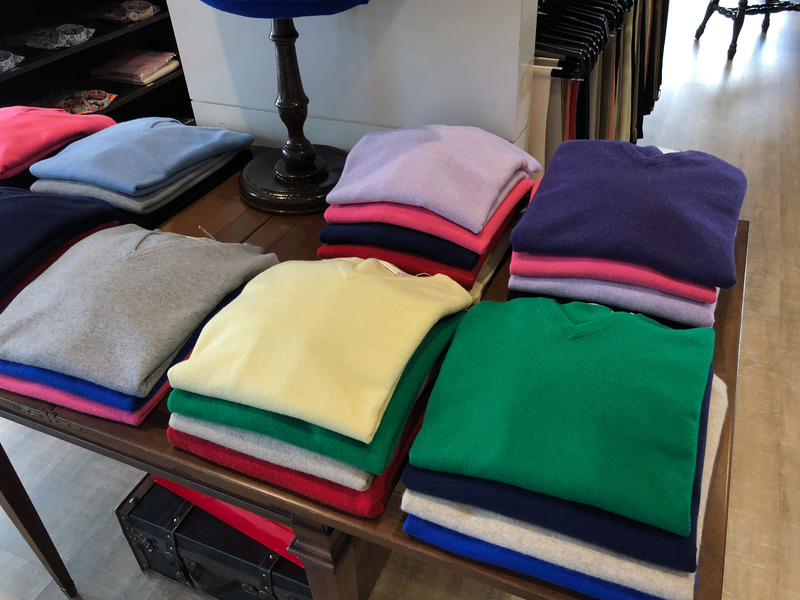 With so much men’s shopping similar, if not the same, from city to city, the idiosyncrasy and embrace of the climate at Maus and Hoffman is refreshing. I like the tailoring and dressier clothing, but I really loved the accessories and outerwear. 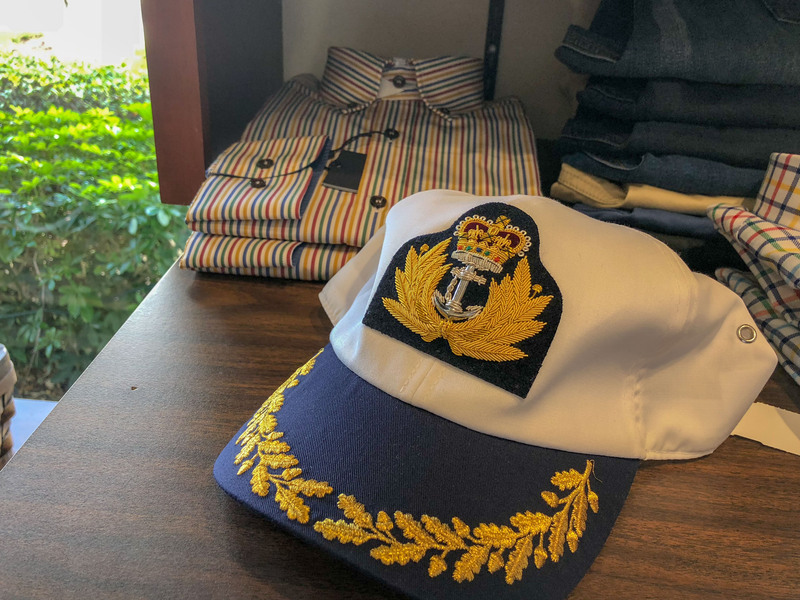 A captain’s cap that was basically bedazzled, French-made bucket hats in sunwashed canvas, silk boutonnieres. Floral ties from a Parisian label, Leonard, that I did not get a photo of, but which, Wade told me, primarily print silks for women’s dresses. These were wonderfully obnoxious. Maus’s outerwear is colorful as well. 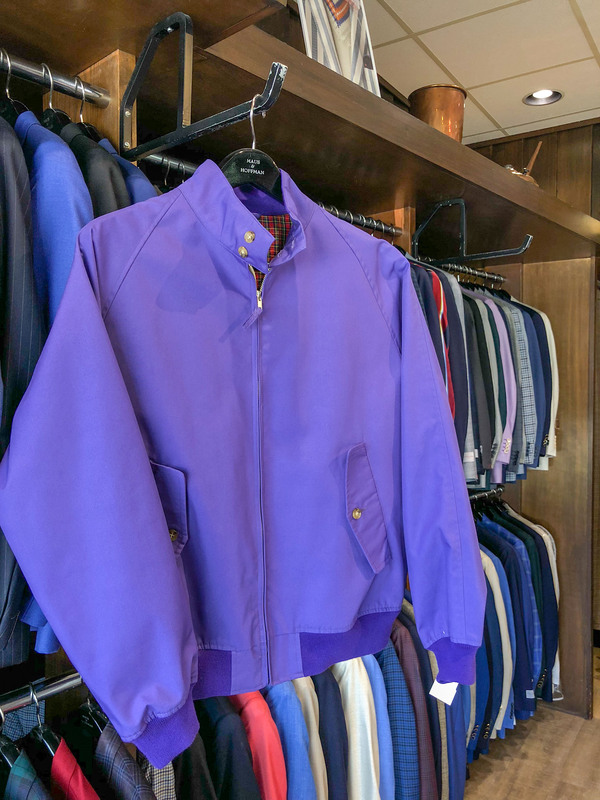 Baracuta-style drizzler jackets in purple. 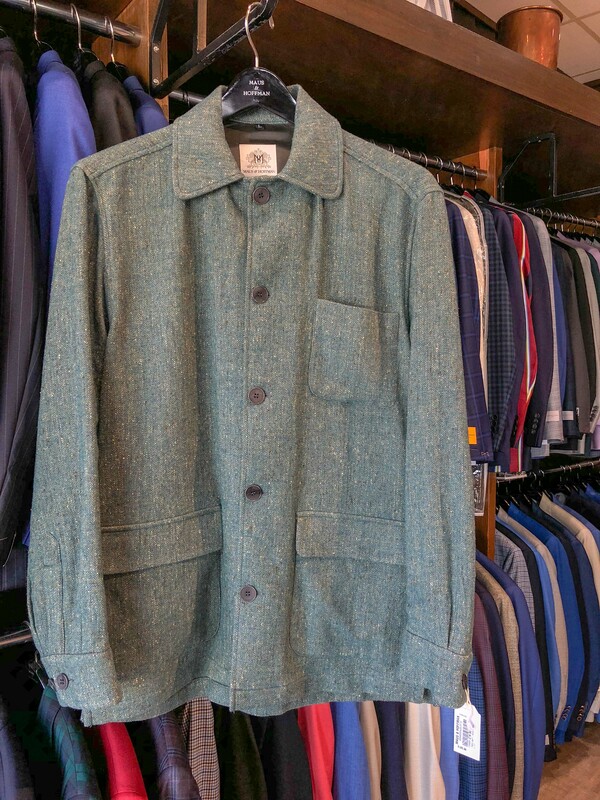 A tweed shirt jacket in a light mossy flecked herringbone. 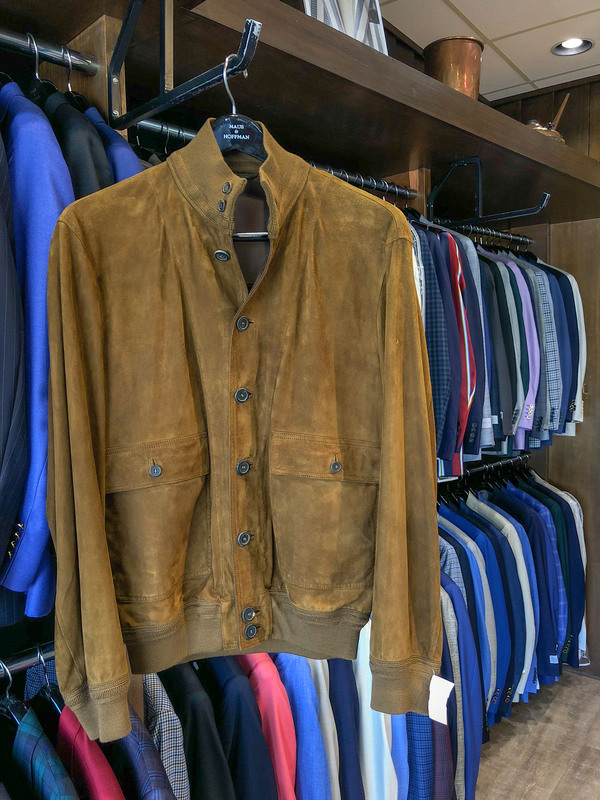 Some leather jackets I’d leave on the rack (I mean, how often would you wear this in Naples?) but also an unlined Italian A-1 I almost walked out with. Not everything at Maus and Hoffman is for me. For one, the cuts were generally more generous than I go for. 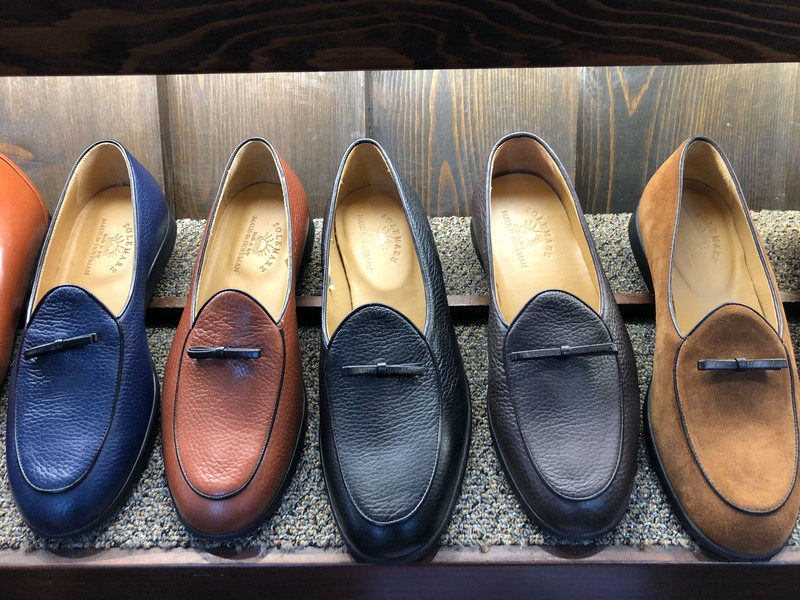 Wade admitted their customers are looking for comfortable cuts, and that sometimes that’s a point that needs reinforcing with Italian makers who cut closer to the body. 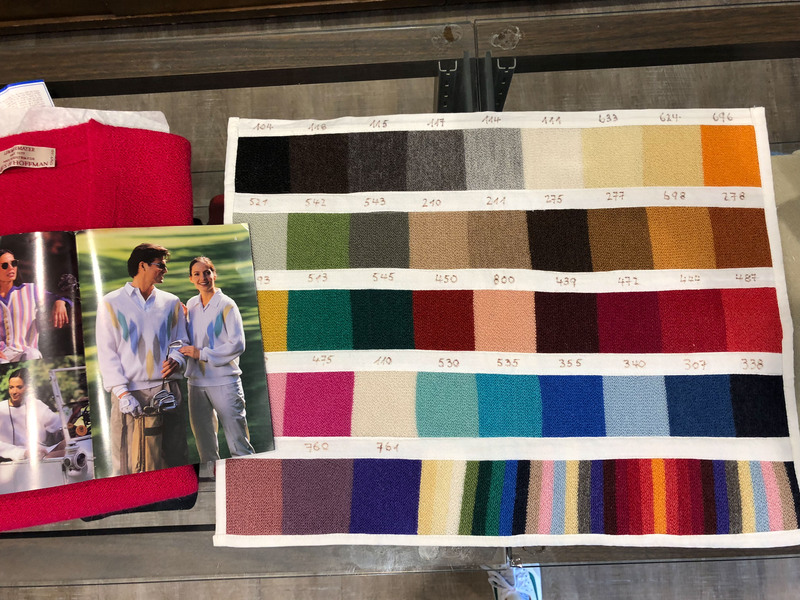 But I’m genuinely cheered there are still places a guy can get a cravat and a custom Alpaca golf sweater. 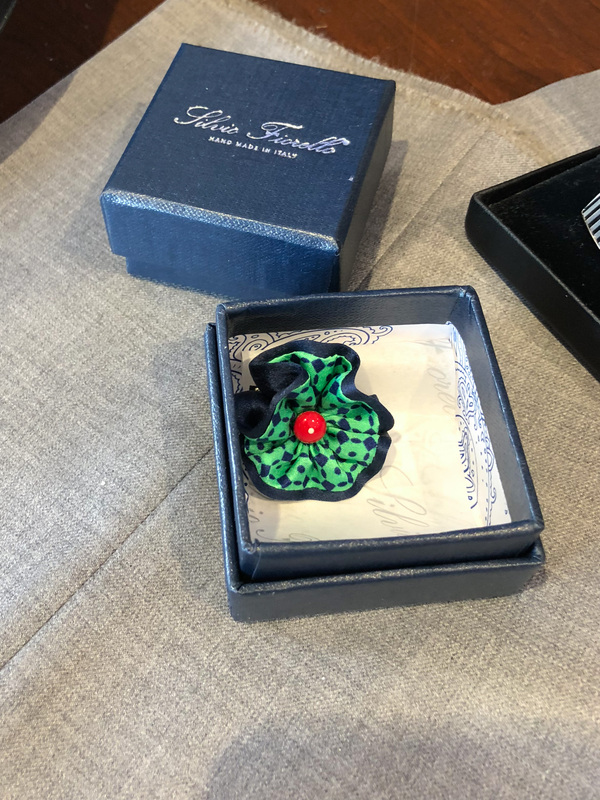 In a time when men’s clothing-related mills, makers, and stores seem to be closing left and right, I often ask guys with good style not what they wish was still around, but what we should be enjoying that’s special and still here. 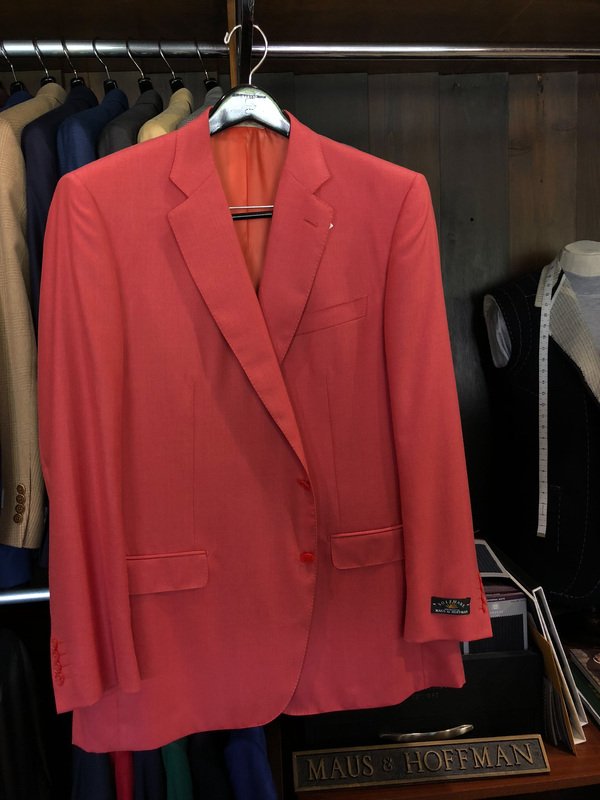 Maus and Hoffman is a shop like that — a truly unique place guys should check out, even if they already have a salmon sportcoat. 3rd Street S. at 14th Ave.